What Made H Is for Hawk a Best-selling Memoir? • The definition of experimental memoir and why H Is for Hawk qualifies. • How to take liberties with point-of-view, and make it work. • How Helen weaves a tapestry of themes, each one informing the other, and how to track this in your own work. • Tracking the inner and outer worlds—and inviting your reader all the way in on both fronts. • The use of someone else’s story (in Helen’s case, T.H. White’s) to make sense of your own. • Universal vs. specific grief—why both matter. • Tracking Helen’s descent into grief to help you understand your own arc. • The language of grief in metaphor and poetic descriptions that capture the reader, and help you, the writer, understand how language supports theme development. • The power of imagery and metaphor to deepen descriptive passages. • Crafting your description to fully envelope the reader in sensual details and help them lose themselves. • What’s in it for the reader? 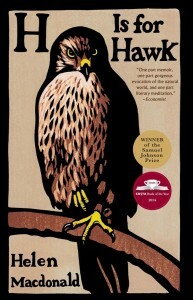 Universal messages in H Is for Hawk, and how to pay attention to them to become a better memoirist yourself. • The power of showing vs. telling—complete with concrete examples. • How obsession about hawking, her father’s history, the history of Britain, and White’s story create an arc of the story. • The ascension from grief, and how to help your reader track your emotional arc. • Land and history as healing metaphors.